Currently this wine is only available at select Costco Wholesale Stores. I decanted for an hour before my first sip. I was in love with the aroma of this wine right away. I really picked up on the raspberry and anise. On the mouth a definite cocoa and cherry, ripe Bing cherry. A little later on, the mint started to make a subtle appearance. The oak is really well balanced, (there is no “Oak Monster” lurking in the bottle as Gary Vaynerchuk would say) This wine is a lot more to my liking than the William Hill Estate Cabernet that I reviewed last week. Lot 140 blends the pretty aromas of Chimney Rock Cabernet with the big fruit-driven tannins of Spring Mountain. It’s everything I like about wine, all in one bottle! Even more amazing is the alcohol content… 14.9%! I had no idea it was that high, there is absolutely no heat present. And here’s the kicker… it retails for $13.99 at Costco! How can it be so good and so cheap??! 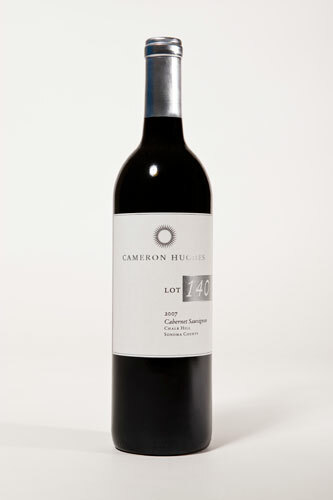 You can find Cameron Hughes Wine Lot 140 at select Costco’s in California and Arizona. Has anyone else tried Lot 140? What do you think? Go ahead and leave a comment! Tim – great review – I will DEFINITELY check this out upon my next trip to Costco (hopefully its here in Spokane) – Looking forward to my trip to PHX in just about a month! I am buying a few cases this weekend…I am my own best customer! ha! I will save some for when you come down! Just got back from Costco where I snagged their last two bottles of Lot 140. This wine would be a bargain at $25.00– I paid $11.99 per bottle and still cannot fathom how they can sell this lush, fruity, chocolatey and aromatic elixir at that price. Totally agree with your critique– ready to drink now but would advise all imbibers to decant for an hour or so, if you have the patience to wait that long. Enjoy! I’ve been buying this at Sam’s Club for $12.99 a bottle. It is remarkably good. I’m a big fan of Cameron Hughes wines. I bought a case of it, and just drank the last bottle the other night. There is good news though, the 2008 version of this wine is about to be released! I purchased this wine on 11/10 from Sam’s Club here in Grand Rapids, MI for $12/bottle and foud it to be outstanding. I went back to the store and purcahsed teh remaindere of their inventory. I used an aerator to decant in to my glass. The fruit is explosive and the finish is wonderfully smooth and lingering. A very nice wine at a resonable cost. The latest version of this wine has just been released, Lot188 I will be writing a review for it this weekend, if you haven’t subscribed already do so and when you check your email on Monday morning, you’ll be able to read the new review! Cheers!